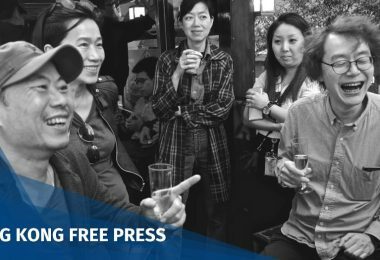 Pro-Beijing groups protested on Tuesday outside the Foreign Correspondents’ Club against pro-independence activist Andy Chan’s luncheon talk. 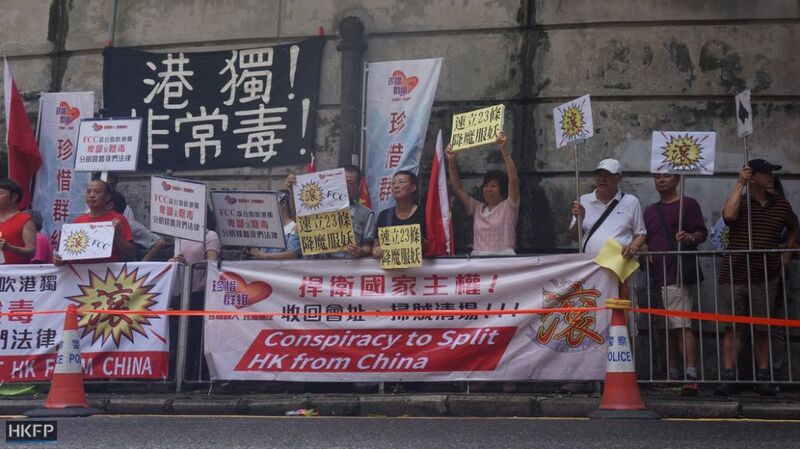 At least four groups of around 50 people appeared outside the Club at around 11am. 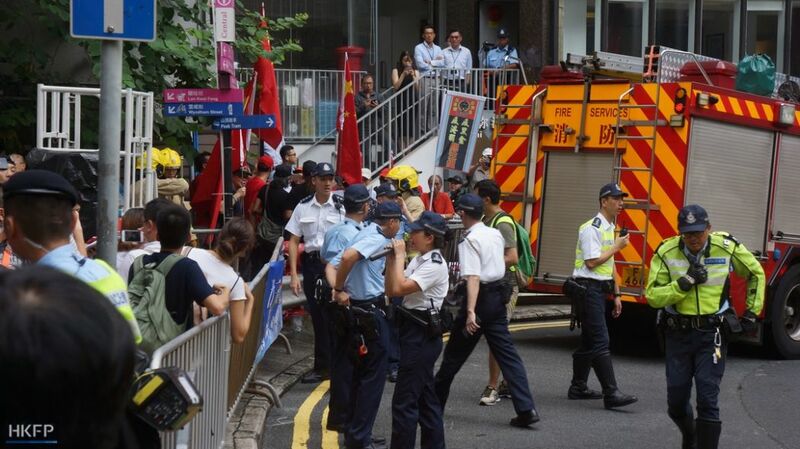 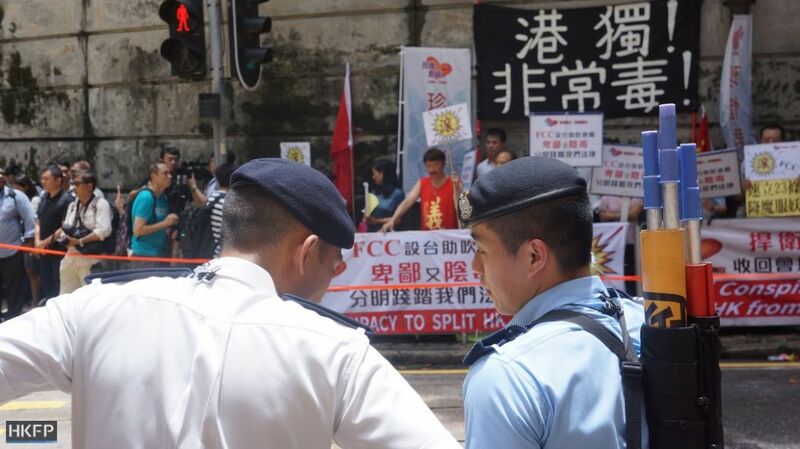 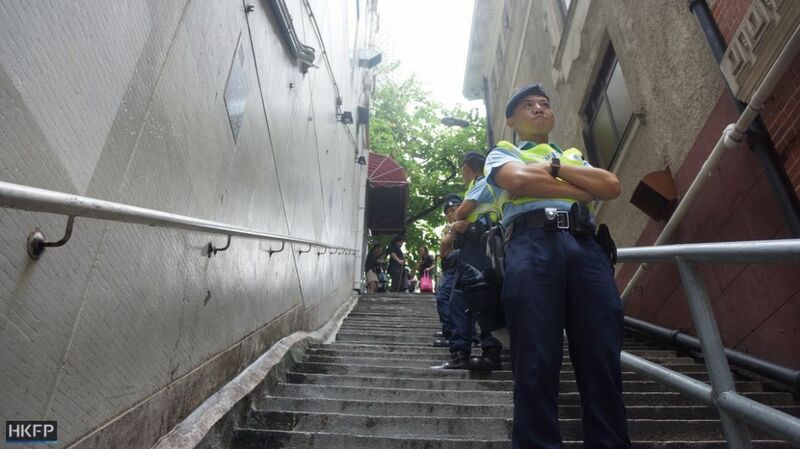 One group marched from Pedder Street in Central to the Club on Lower Albert Road. 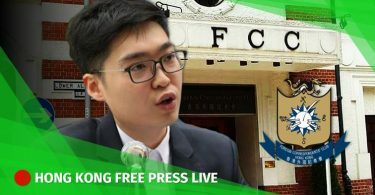 Patrick Ko, the leader of Voice of Loving Hong Kong, said Hong Kong independence advocates must be stopped. 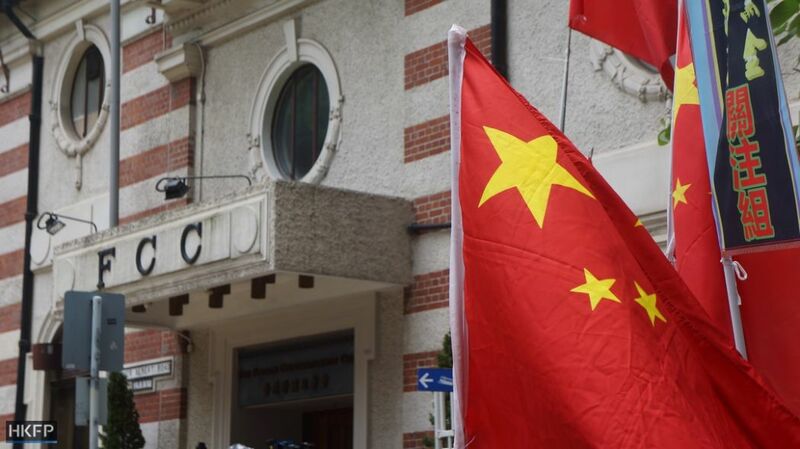 “It is the government’s responsibility to fight against secession and enact Article 23,” he said, referring to the national security law legislation stipulated by the Basic Law. 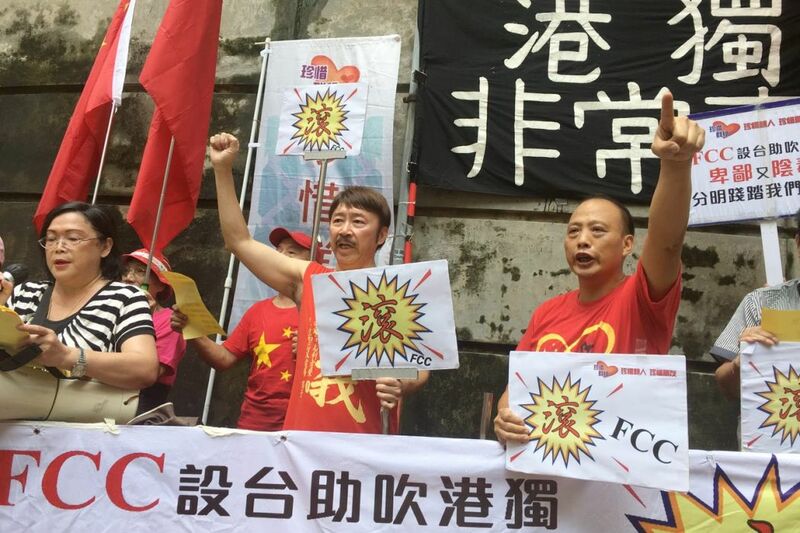 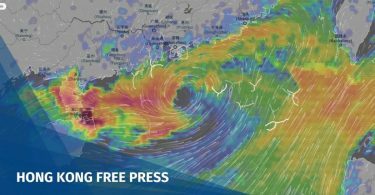 Another pro-Beijing group said they will arrive at the FCC around 11:30, after a short march to the Government Headquarters in Admiralty to demand the enactment of the national security law. 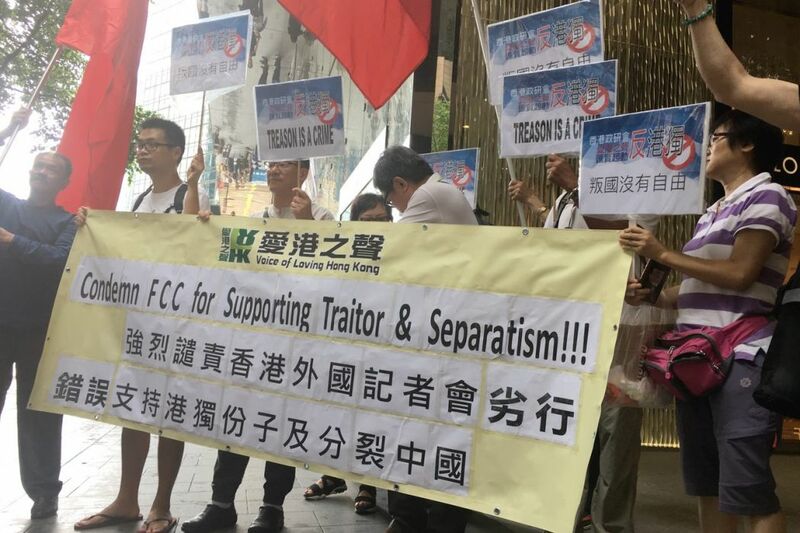 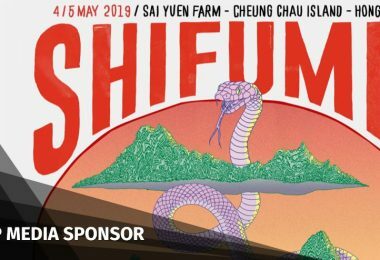 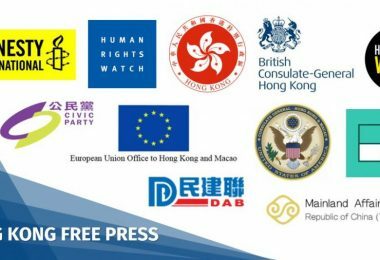 A pro-democracy group said it will arrive by noon to support the FCC, while a pro-independence group said it will arrive by noon to “protect” Chan. 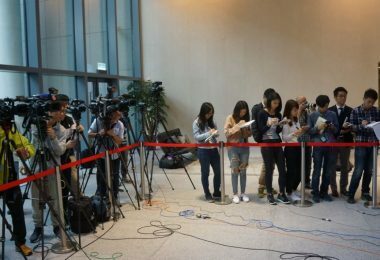 Chan posted on Facebook around 10:30am saying he was already safely inside the FCC, and thanked everyone for their concern.